Istanbul is a city to lose one's heart in. In March 2015, I happened to visit Istanbul for a weekend. Me and my family spent 4 days there. We were looking to get to know the culture and history of Istanbul as well as to visit its famous market. I had been to Istanbul twice before, but something about this city always brings back. 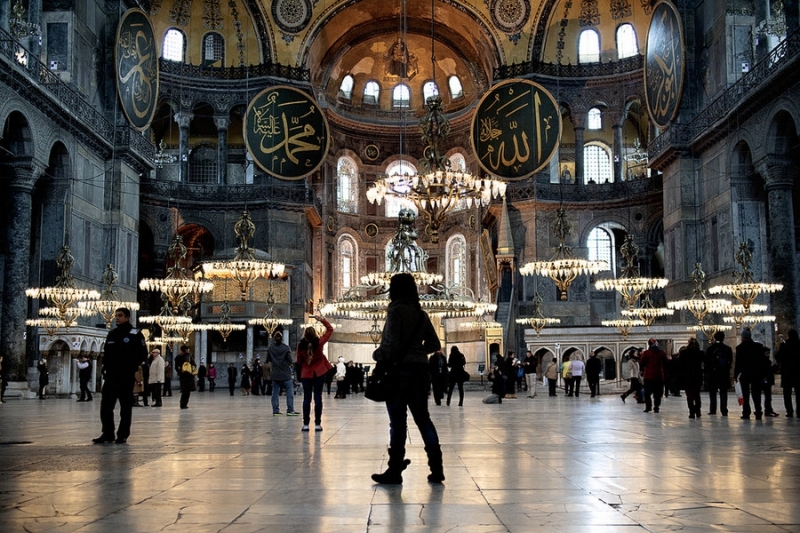 Istanbul is the city of countless mosques, landmarks, and bargains. Surprisingly, the city is no longer as dirty as it used to be some years ago. Despite the cool and rainy weather, the city was literally crowding with tourists. In Istanbul, it is possible to buy virtually anything. Do not forget that bargaining is a must! Istanbul boasts numerous stores, shopping centres, restaurants, and cafés to suit all tastes. The food in Istanbul was delicious, being prepared right before the customer's eyes, which in itself is great entertainment. The European part of Istanbul is a modern city with latest technological advances and expensive cars. The buildings are well-maintained and refurbished, the main streets, spotless. The Asian part of Istanbul is not much different from the European part. The difference lies in the buildings that are old and dilapidated. The city's European and Asian parts can be reached by all means of transport. We chose boat, which took us about 15 minutes -- definitely faster, cheaper, and more convenient than a taxi. The history of today's Istanbul, formerly Constantinople, is known by every single person of Turkish decent, regardless of what part of the country they come from. People really know their land and their people's history, which is a matter of honour and pride. Traffic in Istanbul is mind-blowing. Strangely enough, it is not even close to being as exhausting as driving in rush hour in Tallinn. A rush hour in Istanbul is pretty much any given time etween 7.00am and midnight. It is amazing how many personal vehicles are used in Istanbul considering its excellent public transport system and given the fact that the fuel prices are Europe's highest, exceeding two euro per litre. Istanbul is also called a city that never sleeps and is definitely worth a visit! This was great adventure! Thank you for your company! Thanks Annika and Veiko, for nice company!